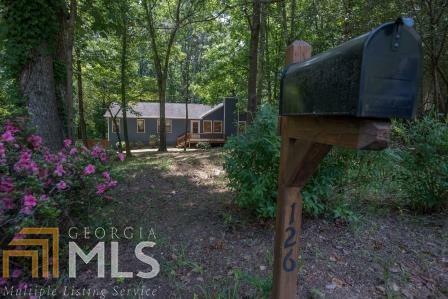 Bring the whole family when you come to see this 3 bedroom, 2.5 bath quality rustic home with a fully finished walkout basement. There&apos;s something for everyone! Trees are abundant throughout the .75 acre property which is located at the end of a cul-de-sac. Relax on the screened porch overlooking the spacious back yard enclosed by a privacy fence. Seller has recently replaced flooring, doors, and repainted the exterior - so you are maintenance free and move in ready. You will feel miles away from it all, yet you are just a minute away from local shopping, dining, and Hobgood Park. To set up your visit today, call agent.